The Renwick Gallery is the first purpose-built art museum in America. It is located steps from the White House in the heart of historic federal Washington. Renwick’s gallery combined the finest European style with an American stamp, prompting Sen. Charles Sumner to call it the “American Louvre.” It symbolized the nation’s aspirations in the cultural arena, the hallmark of every great civilization. The Renwick Gallery was built originally as a public museum for William Corcoran’s private art collection. It is one of the first and most elegant examples of Second Empire architecture in the United States. The exterior was completed in 1861, but the Civil War disrupted construction. In August of that year, the Quarter Master General’s Corps for the Union Army occupied the building to store records and uniforms and eventually set up offices for Montgomery C. Meigs and his staff for the duration of the Civil War. The building was returned to Corcoran in 1869 and extensive renovations were begun to complete the interior. A lavish ball was held Feb. 20, 1871, to raise money for the long-stalled Washington Monument. The event, called “the most magnificent reception ever given in the United States,” was attended by President Ulysses S. Grant and included a special balcony for musicians who were accompanied by live canaries suspended in cages from the ceilings. The interior work was completed in 1873 and the building opened to the public as an art gallery in 1874. The architectural firm John Carl Warnecke and Associates of San Francisco, in conjunction with Universal Restorations Inc. of Washington D.C., completed extensive exterior restorations. Washington, D.C.-based architect Hugh Newell Jacobson led the interior renovation. The extraordinary Grand Salon—which had been converted into office space for Court of Claims judges—was restored to its original glory. The building was added to the National Register of Historic Places in 1969, and it was designated a National Historic Landmark building in the Lafayette Square Historic District Nov. 11, 1971. 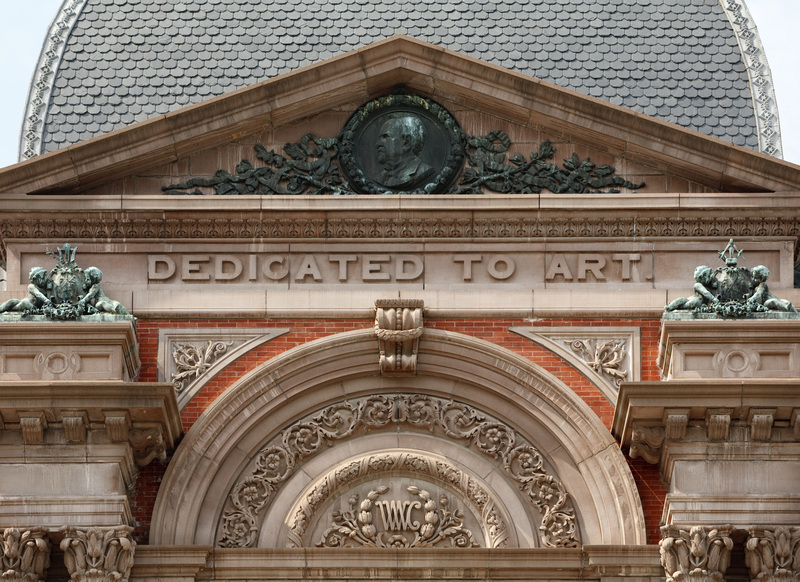 It was then named the Renwick Gallery in honor of its architect. The Renwick Gallery opened Jan. 28, 1972, as the home of the Smithsonian American Art Museum’s contemporary craft and decorative art program. For more than 40 years, the building has served as the nation’s premier site honoring the country’s best artists in their fields. In 2000, the building’s Grand Salon, a 4,300-square-foot gallery with a soaring 40-foot ceiling, was refurbished. Paintings from the Smithsonian American Art Museum’s collection were hung on rose-colored walls, recreating the elegant setting of a 19th-century collector’s picture gallery. The Grand Salon became one of Washington, D.C.’s premier spaces. A major renovation of the Renwick Gallery is now underway. Westlake Reed Leskosky is the lead architectural design and engineering firm for this major renovation and enhancement effort. Consigli Construction Co. Inc. is the general construction contractor. This project includes completely renewed infrastructure, enhanced historic features and other upgrades that will make the National Historic Landmark building a 21st-century destination attraction. Funding for the renovation is a 50-50 public-private partnership. The Renwick Gallery closed to the public Dec. 9, 2013; staff and the collections vacated the building earlier this year. Construction is expected to be completed in 14 months. The Smithsonian American Art Museum celebrates the vision and creativity of Americans with artworks in all media spanning more than three centuries. Its National Historic Landmark building is located at Eighth and F streets N.W., above the Gallery Place/Chinatown Metrorail station. Museum hours are 11:30 a.m. to 7 p.m. daily (closed Dec. 25). Admission is free. The Smithsonian American Art Museum celebrates the vision and creativity of Americans with artworks in all media spanning more than three centuries. Its National Historic Landmark building is located at Eighth and F streets N.W., above the Gallery Place/Chinatown Metrorail station. Museum hours are 11:30 a.m. to 7 p.m. daily (closed Dec. 25). Admission is free. Follow the museum on Twitter, YouTube, Tumblr, Instagram, Facebook, Flickr, Pinterest, iTunes U and ArtBabble. Museum information (recorded): (202) 633-7970. Smithsonian Information: (202) 633-1000. Website: americanart.si.edu.